Ugandan President Yoweri Museveni on Feb. 24 signed into law a bill imposing harsh sentences on so-called homosexual acts. Photographer Daniella Zalcman traveled to Uganda in January to document lesbian, gay, bisexual and transgender rights activists as they prepared for life under the impending law. The community, already living a discreet existence, had gone further underground. One group burned its paperwork and campaign posters, and many individuals toned down their online presence, changing their names or photos on Facebook or deleting Twitter or Instagram accounts. Scores of people have left the country, according to activists who remain. Many went to neighboring Kenya; though it also has antigay laws, police are far less aggressive about enforcing them. Others have gone to Rwanda, Burundi or South Africa. Those who stayed will be forced to continue their secret double lives, or perhaps face prosecution. “There were still plenty of acts of resistance” before the bill passed, Ms. Zalcman said. One lesbian couple wed in a private ceremony the day after Parliament passed the bill in December, and a bar in downtown Kampala hosted a weekly LGBT-friendly evening until the weekend before the bill passed, she said. “But now, all of that will cease,” she said. Mr. Museveni wanted to sign the bill “with the full witness of the international media to demonstrate Uganda’s independence in the face of Western pressure and provocation,” Ugandan government spokesman Ofwono Opondo said. On Feb. 25, several European nations said they were suspending assistance to Uganda, in the first fallout from the bill. On the first conviction for so-called homosexual acts, offenders face a 14-year prison sentence. Subsequent convictions for “aggravated homosexuality,” which includes homosexual acts committed by an HIV-positive person, could bring a penalty of life in prison. 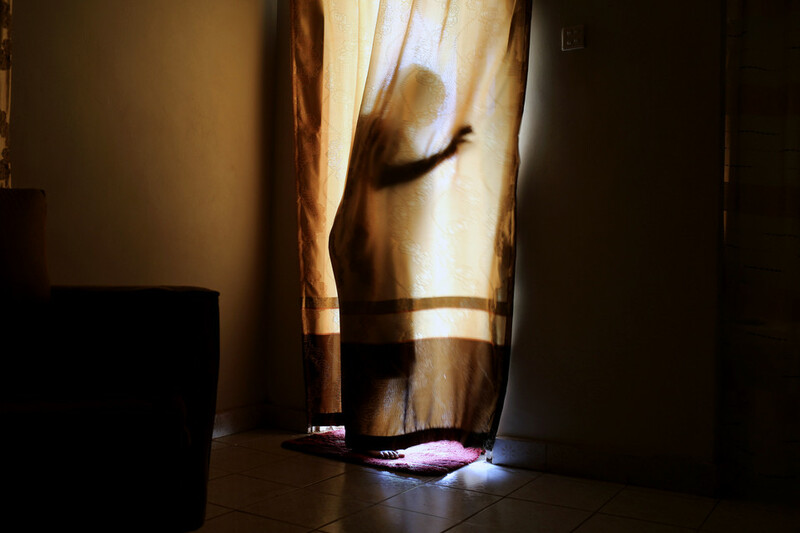 Ms. Zalcman, whose reporting was supported by a grant from the Pulitzer Center on Crisis Reporting, photographed some members of Kampala’s LGBT community in their final weeks of relative freedom, before the law went into effect. Activist Kasha Nabagesera with her dog, Arzu, at her home in a secure compound in Kampala on Jan. 18. LGBT rights activist Sandra Ntebi, a researcher for Makerere University, said she does most of her work at her home, seen on Jan. 26, to avoid harassment.